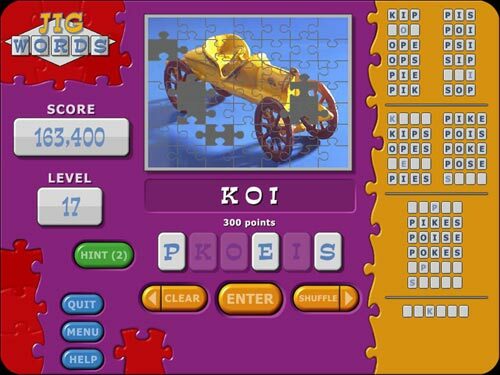 Jig Words is completely addicting word game fun. 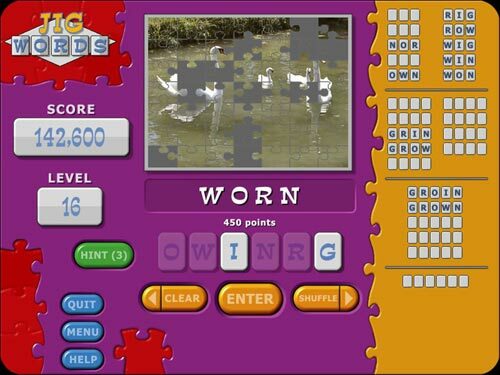 Click on letters to spell words and reveal fun photos. 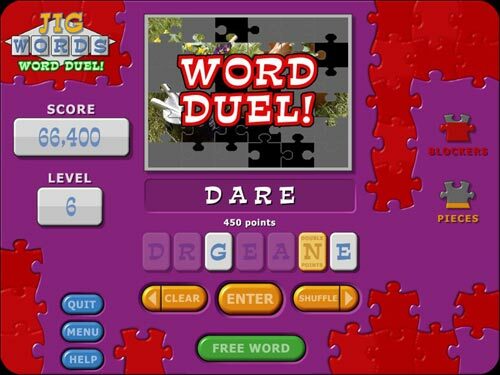 'Jig Words' mode challenges you to find all the possible words and includes exciting 'Word Duel' bonus rounds. 'Letter Racing' mode places you in competition with 3 other players to see who can find words the fastest! Reveal hundreds of fun photos as you play, and even add your favorite photos right into the game! 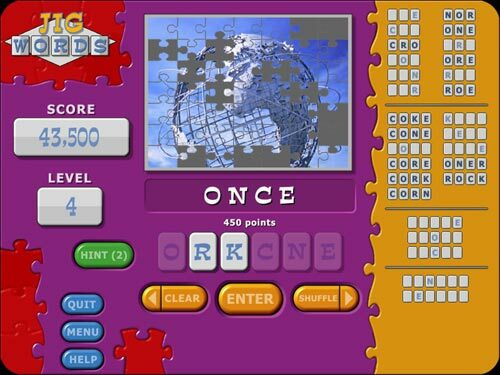 Play the enhanced downloadable version of Jig Words offline on your computer. Play the free trial offline when you want. Unlimited play with hundreds of settings to reveal. Save your game and resume later. Add your favorite photos right into the game.